Around Easter one of our favorite activities is going through our Resurrection eggs.My girls will ask to do them numerous times a day!Well at a regular price of $15-$20 for a set it can be an expensive purchase. 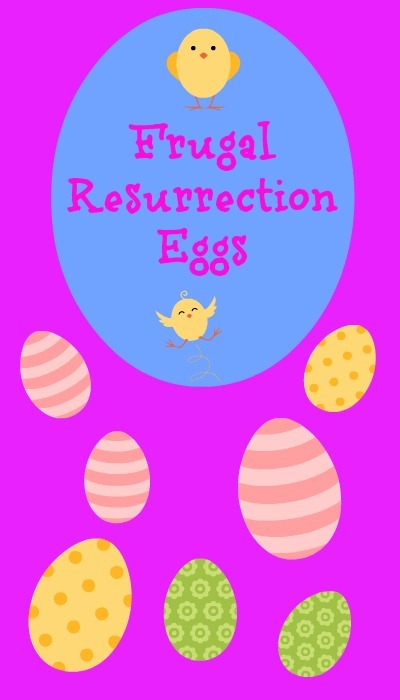 I recently spoke at a Mom’s group (SPOTS) in Columbia and going with the theme of saving money that day they had a great make your Resurrection eggs activity.I quickly asked if I could share it!! Hopefully you should have most of the items already so if you have to buy the eggs the whole activity should cost around $1. Now, download the scripture and story about each egg and have fun. If your family is like ours you might want to make a set for each kid.They love to open the eggs themselves and eventually will love tell you the story. Thanks to Mimi at Shandon Baptist for letting me share her guide!